BenBeck II, Inc. dba Beckham Septic Tank and Ditching Service, evolved from a company that began as Beckham Vault Company in 1947. Bennie C. Beckham started the company doing burial vaults and cemetary work utilizing manual labor with shovels and picks. 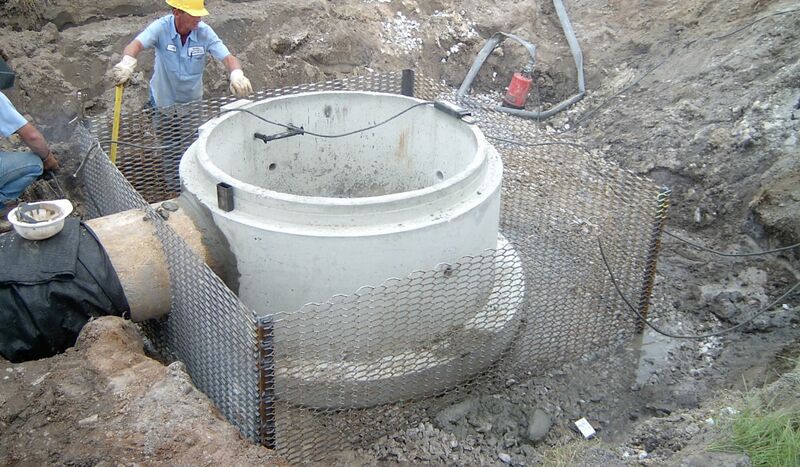 The manufacture of precast curbing for open wells and septic tanks was soon added. In the mid 1950's, Beckham purchased the first hydraulic backhoe/loader in Coffee County and afterwards, installed a two-way radio system for operations improvement. More efficient equipment was purchased for installing vaults and septic tank systems. The vault services were discontinued as operations expanded to site preparation which included lot clearing, debris removal, demolition, excavation and installing underground utilities. Services currently provided include site developments for residential subdivisions, restaurants, banks, retail and multiple projects for our military installation. Mr. Beckham was one of three founding fathers of the Alabama Onsite Wastewater Association, Inc. Mr. Beckham's son Ben joined the business in 1993 and oversees daily operations as the owner and is an active, certified member of the AOWA operating as BenBeck II, Inc. dba Beckham Septic Tank and Ditching Service. The Beckham's are grateful to their customers in surrounding counties and their home, Coffee County. BenBeck II, Inc. operates with experienced employees whose total combine experience exceeds a century.